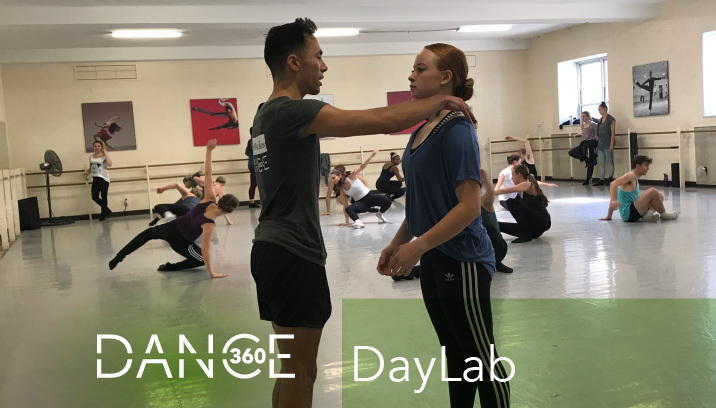 DayLabs are open to Advanced/Professional level dancers 15+ and offer a taste of the Dance360 experience, DayLabs may also be used as an audition for DanceForce and/or ChoreoLab. 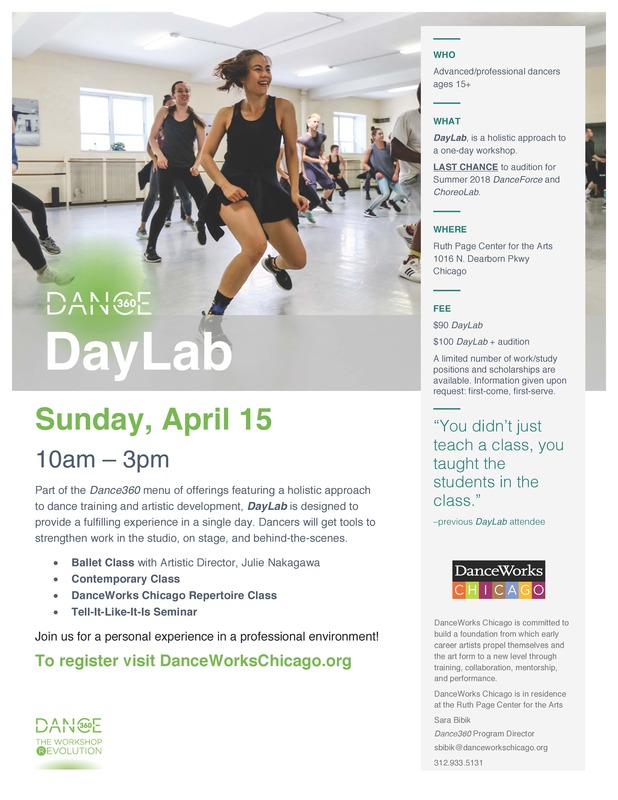 Click HERE for the April DayLab flyer. DanceWorks Chicago is committed to supporting individual artistic growth, providing a laboratory for early career artists to journey from “good to great” through training, collaboration, mentorship, and performance. DWC shines a spotlight on individual artists, celebrating unique voices and finding harmony in collaboration. DWC alumni are currently dancing with Alvin Ailey American Dance Theater, Complexions, Dallas Black Dance Theatre, Grand Rapids Ballet, Alonzo King LINES Ballet, The Lion King, Robert Moses’ Kin, and Northwest Dance Project, among other pursuits.